For use with LC2 connector strips. Single channel amplifier used to increase the load capability and extend the signal of universal single color controllers and dimmers. 4 Amp maximum load. 5~24VDC operation. 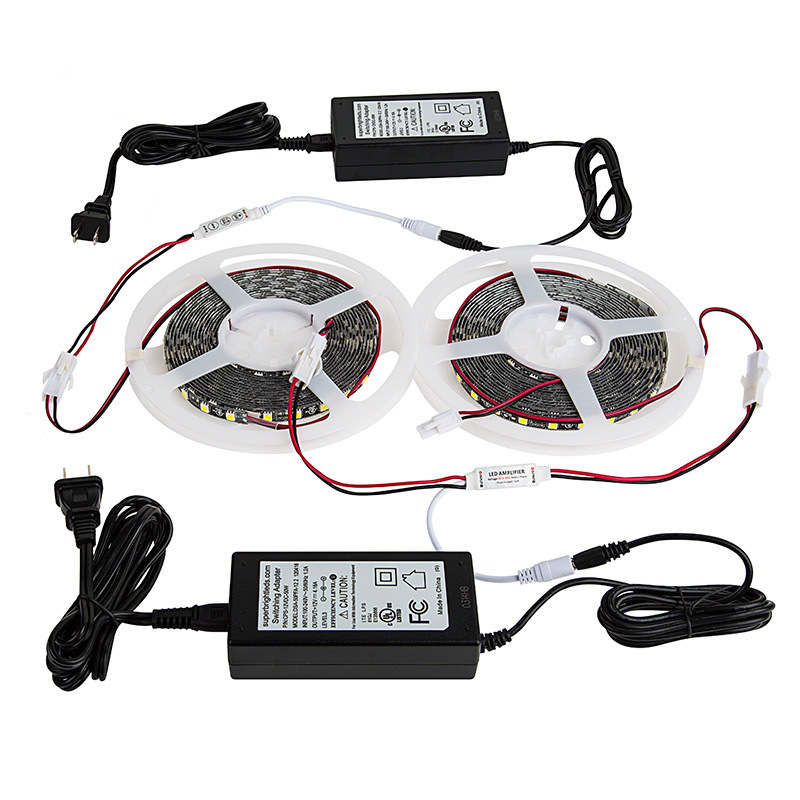 2 x 2-pin single color wire leads. Power supply connects to the Single Color Controller using a CPS connector. 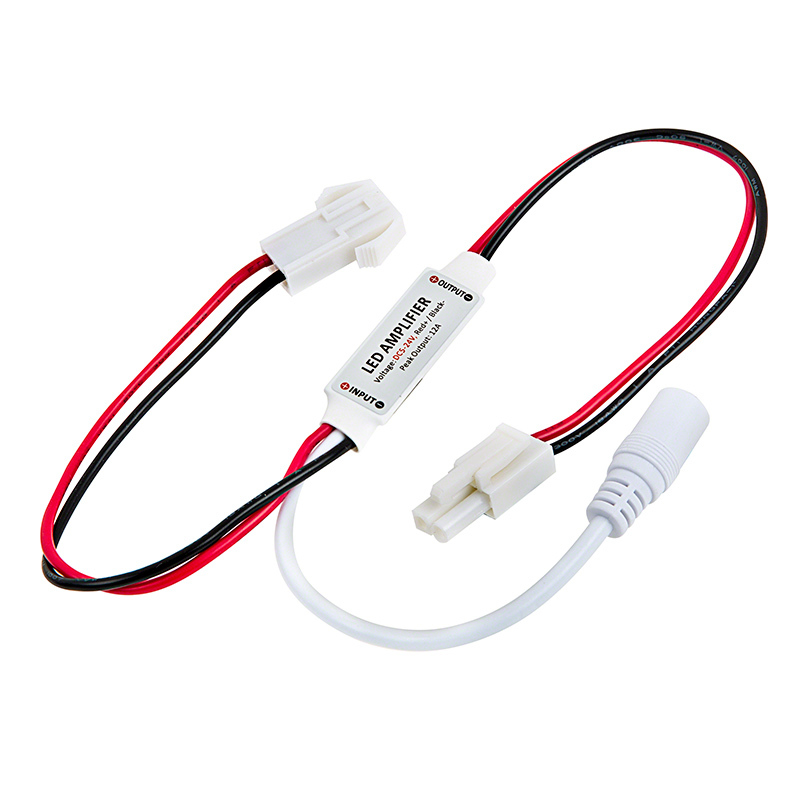 The single color controller connects to the strip using a plug-n-play LC2 connector. 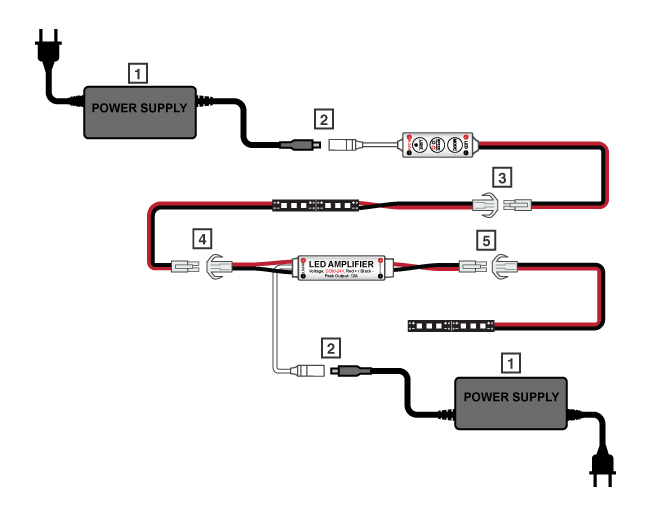 The single color strip connects to the amplifier using a plug-n-play LC2 connector. The remaining amplifier connections include a plug-n-play LC2 connection to the strip and a CPS connection to another power supply. Your amplifier setup is now completed and will carry the signal from the controller.